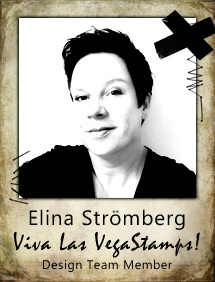 Elina's Arts And Crafts: Playing with colour! 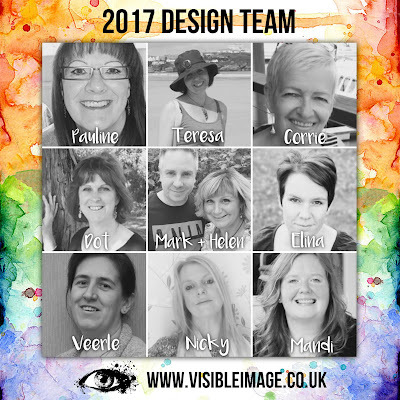 Last week Helen and Mark, the lovely and super talented couple behind Visible Image revealed the design team for year 2017. 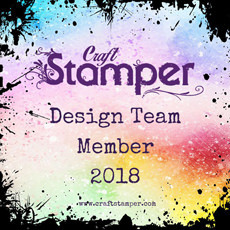 I'm so happy and proud to be part of this hearfelt team, and I know already now that our new year will be AMAZING! 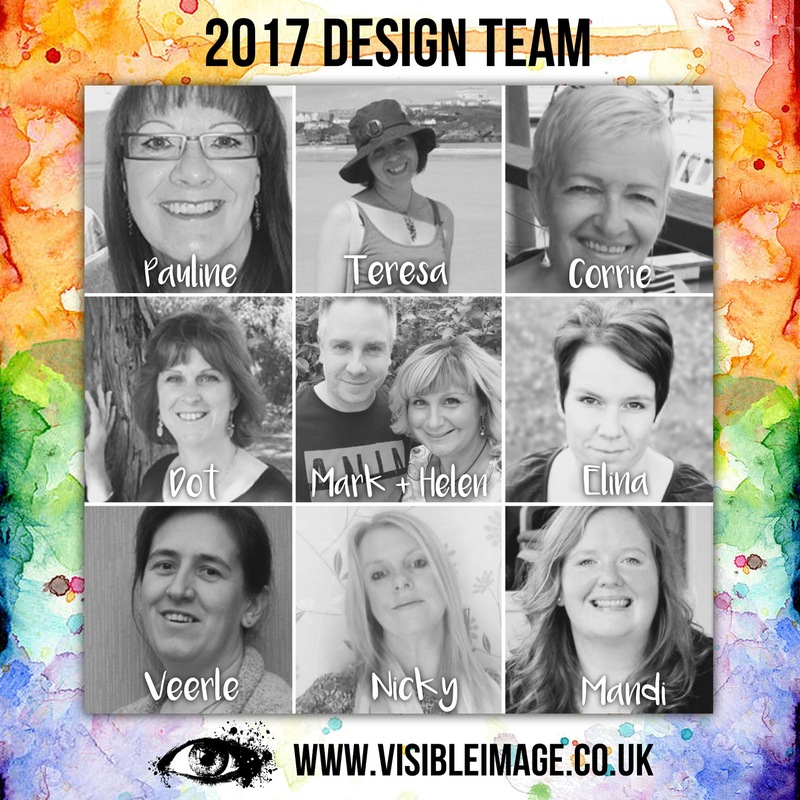 There are so many gorgeous goodies coming up, so I suggest you sign up to Visible Image Newsletter to make sure you don't miss any news, special offers and new releases. 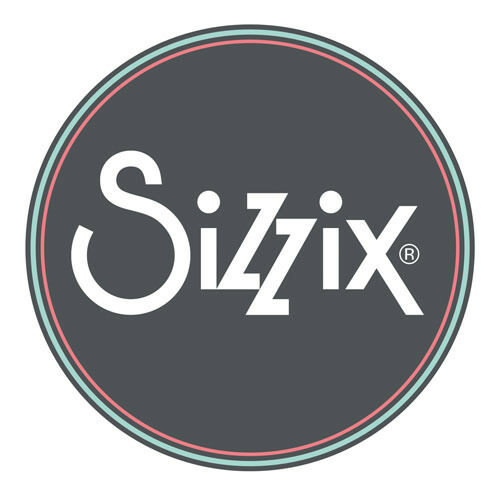 You can also follow Visible Image on Facebook, Instagram, Pinterest and Twitter! 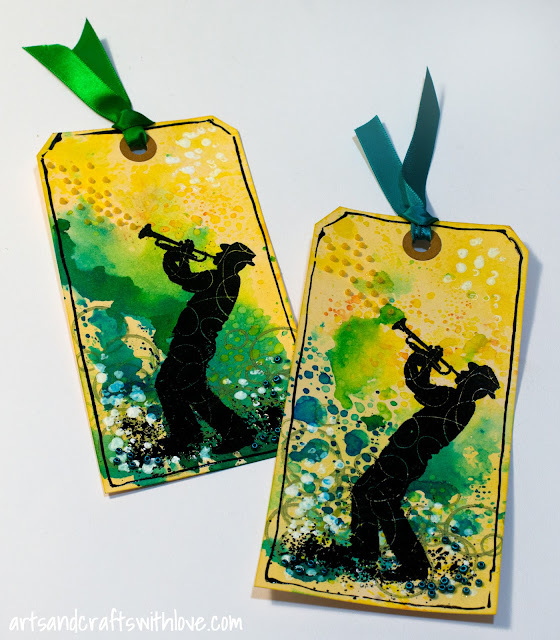 This week I wanted to show you two colourful tags I made using stamps from 'Jazz It Up' and 'Rays Of Light' sets. 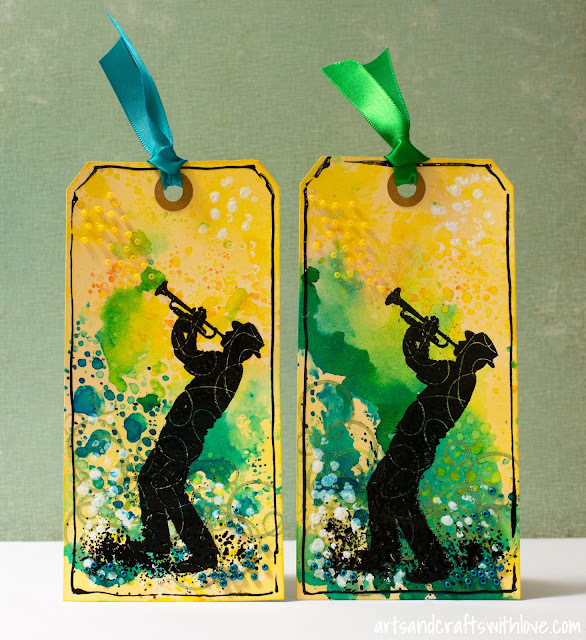 The background is a simple size 8 manila tag, coloured with yellow, blue and green Brushos. Brushos are very intense paint powders that produce brilliant vibrant colours when mixed with water. 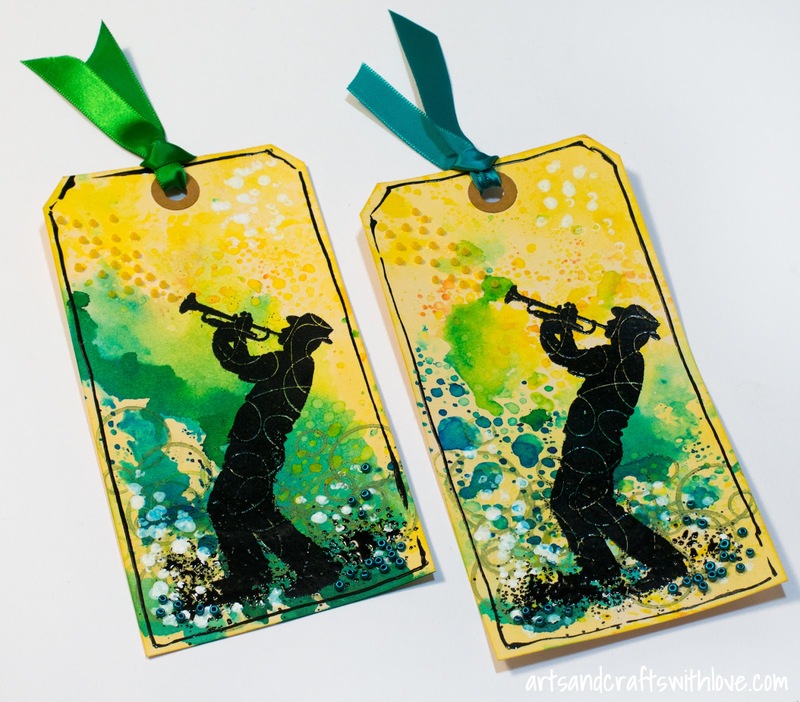 This time I did not sprinkle the powder directly on wet paper, but first misted by crafting mat with water, sprinkled brushos on the water drops, and picked up the colour with a dry tag. The nice thing about Brushos is that like watercolours they are pretty unpredictable, so you cannot fully control the flow of colours. That's what makes the creative process so much fun!